London: Ireland's first Indian-origin Prime Minister Leo Varadkar on Monday met his United Kingdom counterpart Theresa May for bilateral talks during his first visit to 10 Downing Street amid political uncertainty in Britain. The Irish Taoiseach (prime minister) said Ireland was not in favour of an economic border between the two countries following Brexit. "While there will be a political border between our two countries, there should not be an economic one and any border that does exist should be invisible," Varadkar said following his talks with May. He also offered condolences on behalf of the Irish people and the Irish government to all those affected by the recent tragedies in London. "Everyone in Ireland knows someone, a friend or a relative, who lives in London. 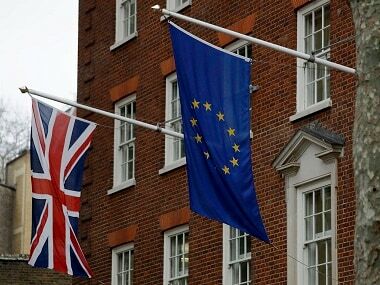 When there is an attack on London, we in Ireland feel it is almost an attack on us as well," Varadkar said. 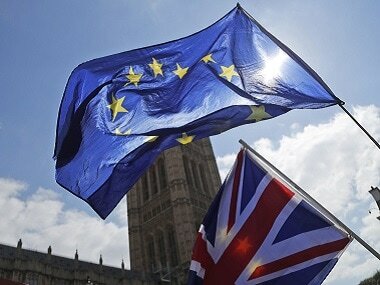 May also expressed the hope that Britain's exit from the European Union (EU) would not impact relations with EU-member country Ireland. "No one wants to see trade between our two countries diminished. I remain committed to finding a practical solution to the land border in Northern Ireland after Brexit," she said. In one of his first major bilateral visits, the Irish Taoiseach said he had also been "very reassured" by the Conservative party's proposed agreement with Northern Ireland's Democratic Unionist Party (DUP) and its feared impact on the impartiality of the British and Irish governments in the region. In a joint press conference at Downing Street, he said as co-guarantors of the Good Friday Agreement, the British and Irish governments should not be too close to unionism or nationalism. The ruling Tories need the backing of the 10 DUP MPs to form its minority government following a hung Parliament verdict in the 8 June snap general election. "I want to renew the close bond and strong relations that exist between Ireland and the United Kingdom," Varadkar said on Monday prior to his first visit to Downing Street. 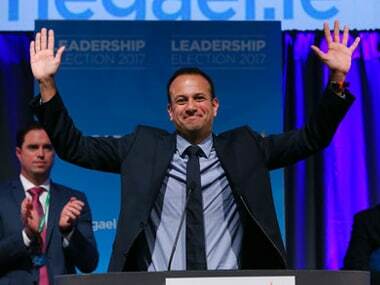 "Among other things, we will discuss Northern Ireland and the need to re-establish devolved government and Brexit, focusing on how we can avoid any adverse impact on the rights and freedoms of our citizens on trade and the economy," said Varadkar, an Indian-origin doctor and the Dublin-born son of Mumbai-born Ashok Varadkar and Irish mother Miriam. 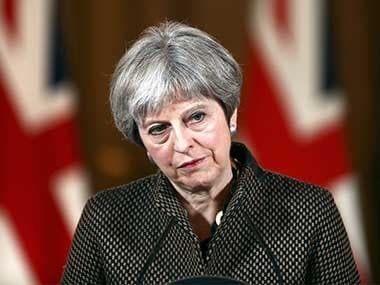 There has been political uncertainty in the United Kingdom as some media reports claimed that May has "10 days to save her job" as some of her party lawmakers are secretly plotting her ouster.